A suburban oasis: grassy carpet spread easily around the town’s sandy swimming hole, shaded by majestic oaks and a lone magnolia, bordered by jungle gyms and barbeques… all at the foot of Lover’s Lane in Wilton, Connecticut. 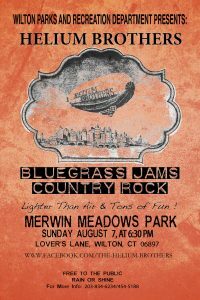 For years at the turn of the millennium, in this little retreat from the nearby hubbub, the Wilton Parks and Recreation Department sponsored the Wilton MusicFest. Mixed in with the summertime sounds of kids on swing sets and cicadas at dusk were the sounds of world-class acoustic musicians such as…. wait for it…. Richie Havens, Tom Paxton, Janis Ian, Karla Bonoff, Jimmy Webb, Marshall Crenshaw, Jose Feliciano, Paul Winter, Richard Shindell, Melanie, Steve Forbert, Tom Chapin, Julie Gold, Christine Lavin, Aztec Two-Step, Rory Block… and, believe it or not, many more. 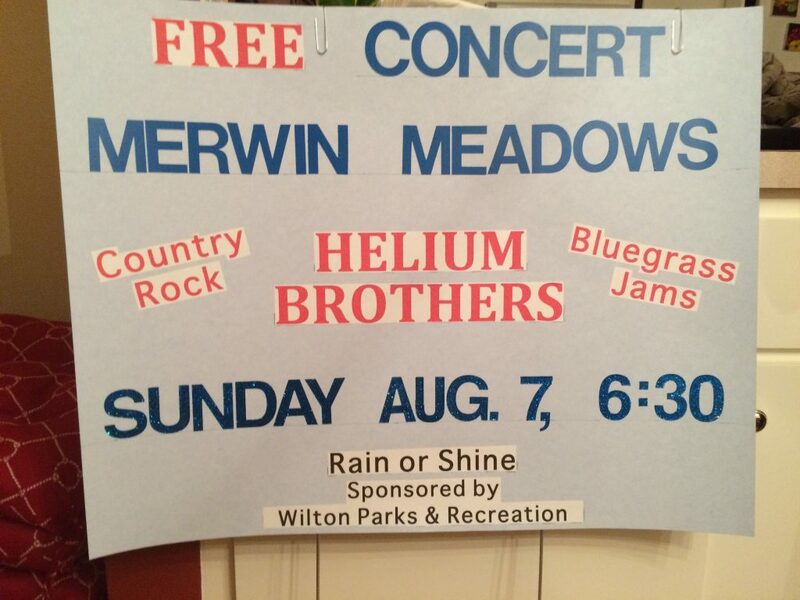 I was proud to help the Parks Department bring some of that music to Merwin Meadows in those years. 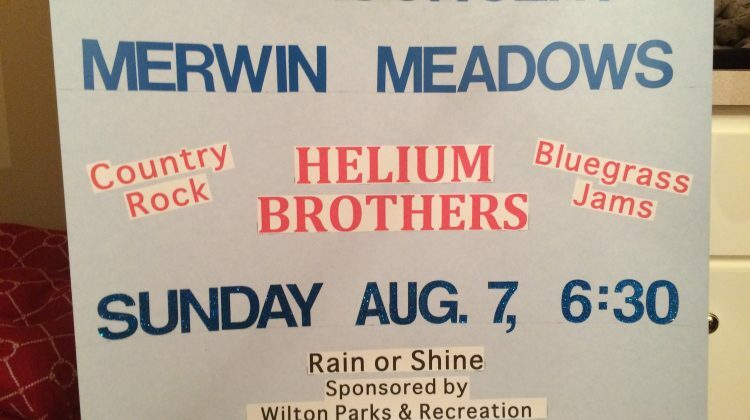 And I’m proud to help bring it back this weekend, when the Helium Brothers will take that little big stage again. Hope you can join us. There’s a little magic in Merwin Meadows. Join our mailing list to receive the latest Helium news and updates. Don\'t miss a thing!